Stock status is current as of 4/25/2019 2:28 PMET. Get in control of your inventory with Wasp Inventory Control Standard with DT60 & WPL305. It is the complete inventory tracking system for small business. This POS bundle includes inventory software, a mobile computer, and a barcode printer. This bundle is ideal for warehouses, light manufacturing and distribution centers, retailers, stock rooms & supply closets, inventory-carrying trucks, ships or containers and, installation contractors or any business that buys stocks and sells parts and products. 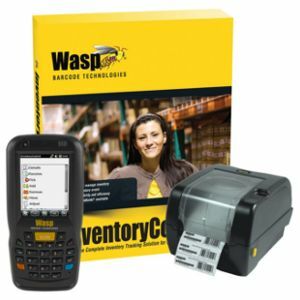 Order Wasp Inventory Control Standard with DT60 & WPL305 now!